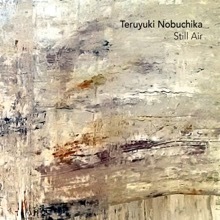 “Still Air” is the 3rd solo album by japanese electronic musician and soundtrack composer Teruyuki Nobuchika. Who already released on the well known japanese label „Plop“. The eight track album on german label “Oktaf Records”. features electronic abstractions and classic sensitivity influences in a minimal ambient music context. (includes a 38-minute bonus track for free download). 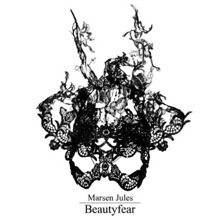 Following his highly acclaimed album „Beautyfear“ Marsen Jules bridges the time with the release of a conceptual mini album. The two tracks on the 35 minutes long album were created during a two week residency in the legendary GRM-Studios at Radio France in paris. For the two tracks Jules dives deeply into the level of subatomic sound-particles. Clusters of string crescendos emerge from a nearly psychoacoustic sound-wall of warm drones in which they disappear with ultra long fade outs and reverbs. A touching work - which has the quality to let you drown into it completely. The album comes in a beautiful artwork by Noah MacDonald. PRE ORDER THIS ALBUM FOR 12,-€ DIRECTLY IN OUR SHOP. [OKTAF05] MARSEN JULES TRIO - "PRÉSENCE ACOUSMATIQUE"
German ambient-connaisseur and soundpoet Marsen Jules form a Trio with twin brothers Anwar Alam and Jan-Philipp Alam on piano and violins for this release. Accompanied by Roger Döring from Dictaphone on two tracks "Presencé Acousmatic" is a deep live-music journey somewhere between the beauty of Harold Budd, the elegance of Eno and the darkness of Bohren & der Club of Gore.